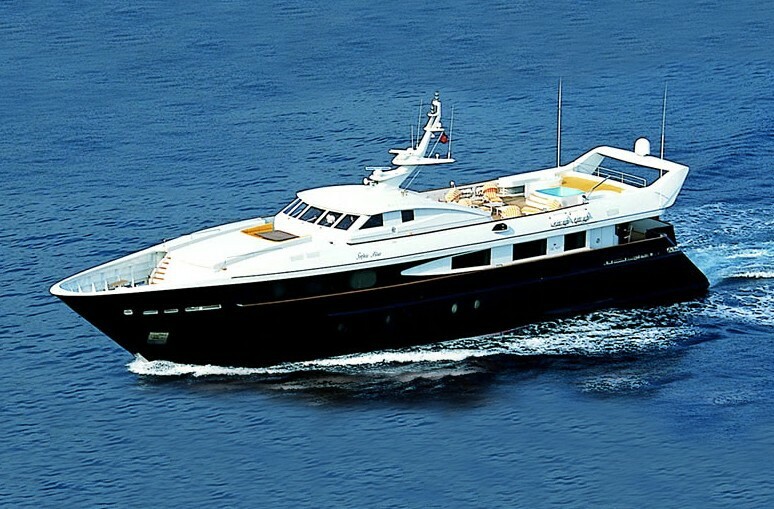 Luxury charter yacht SOPHIE BLUE 41M was built by CBI Navi and designed by Luca Dini in 1998, she was refitted in 2010 and can accommodate 12 guests in 6 cabins, the yacht is available for charter in the Western Mediterranean. 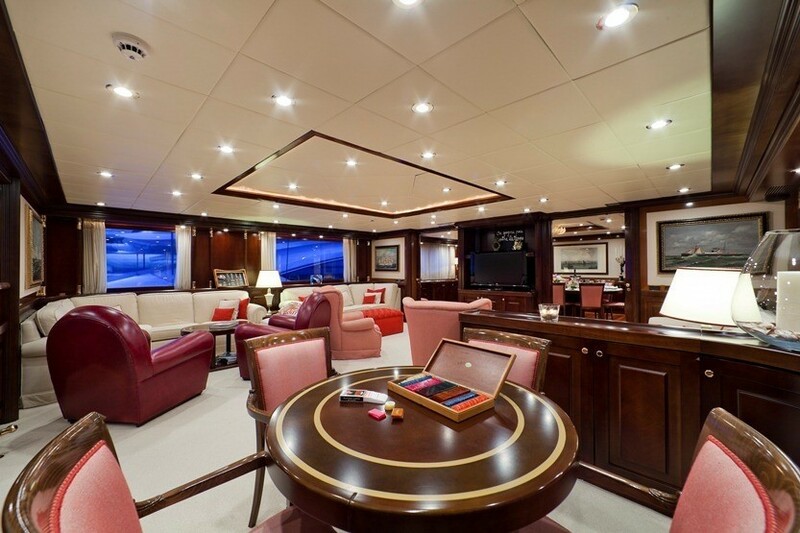 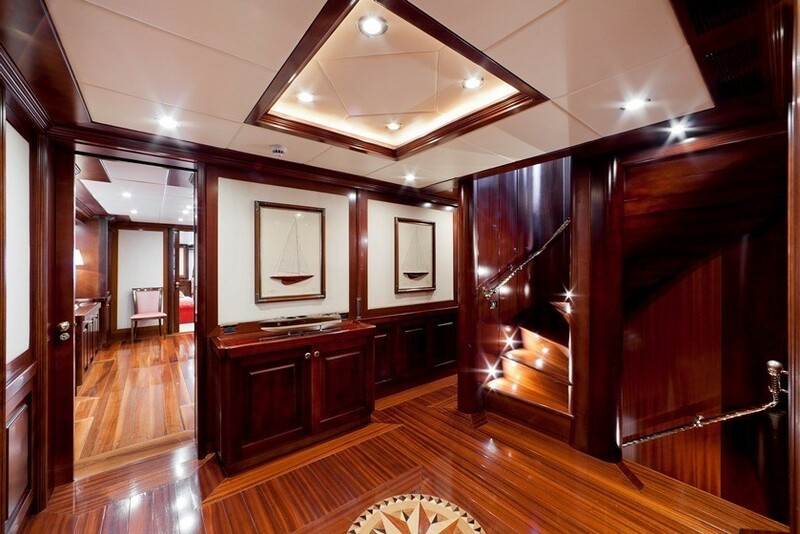 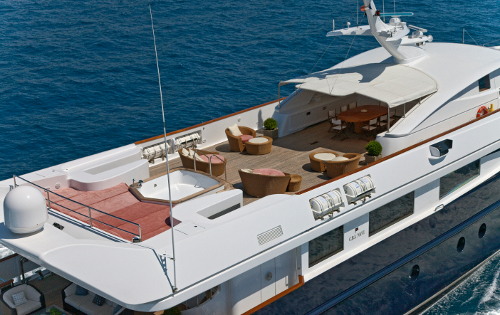 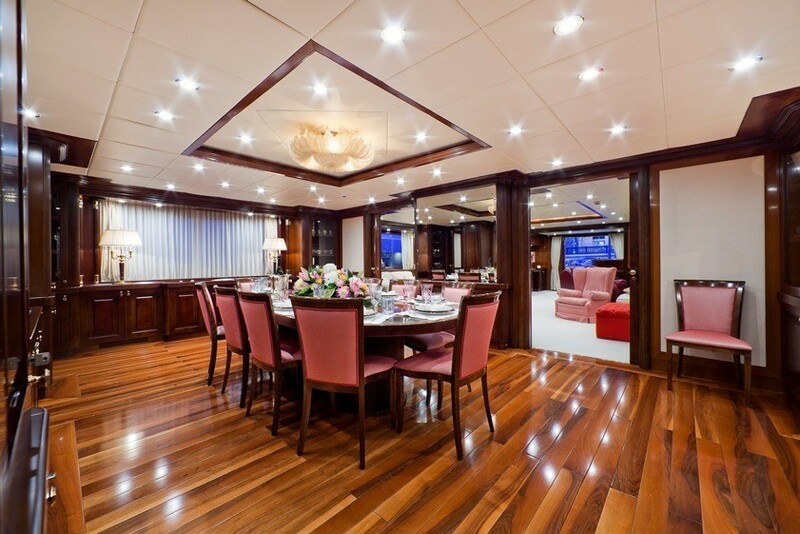 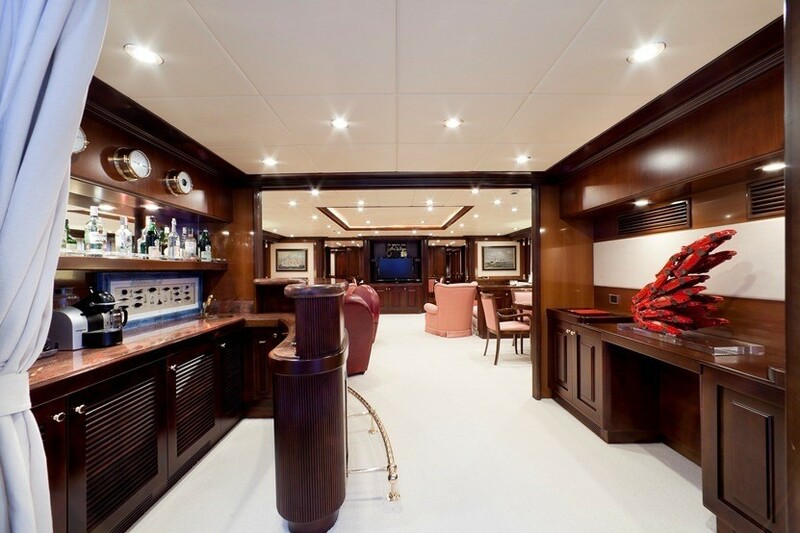 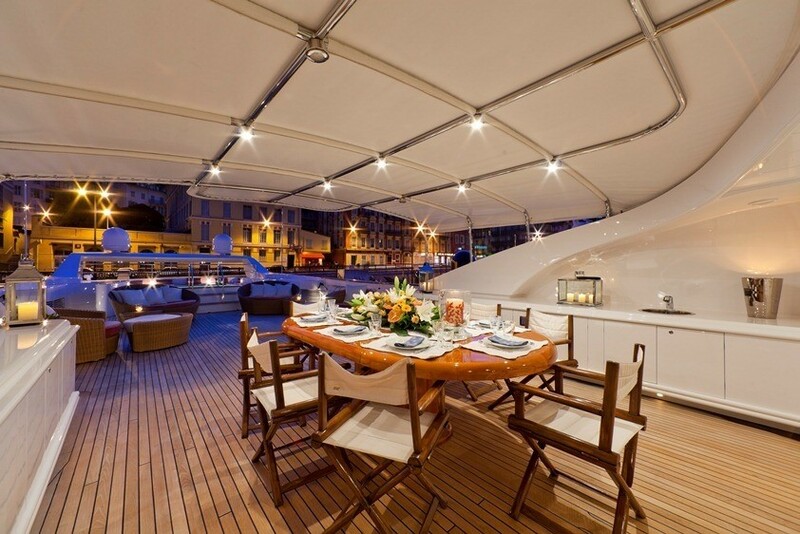 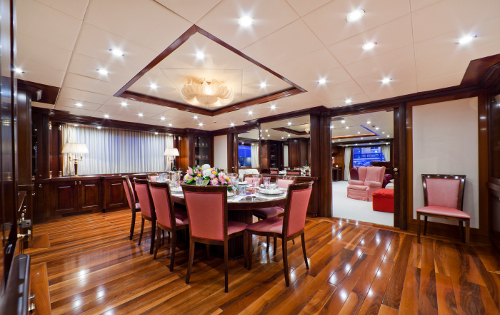 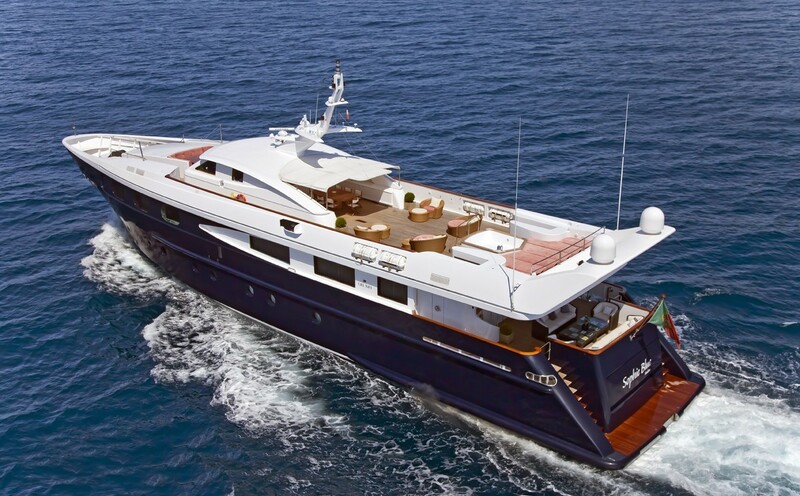 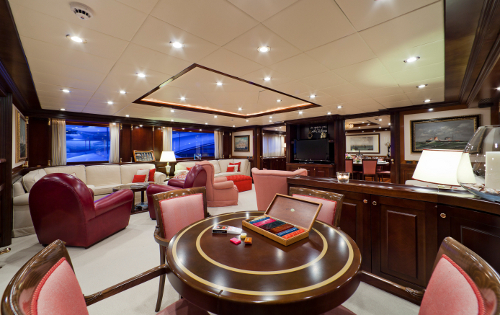 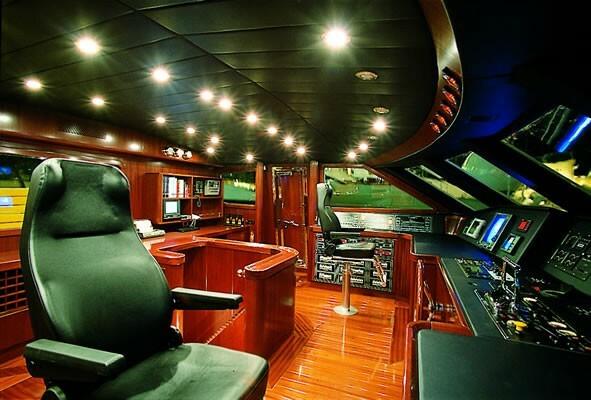 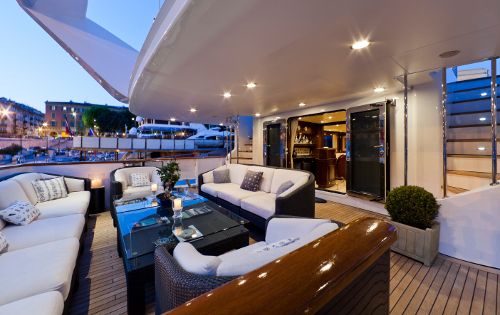 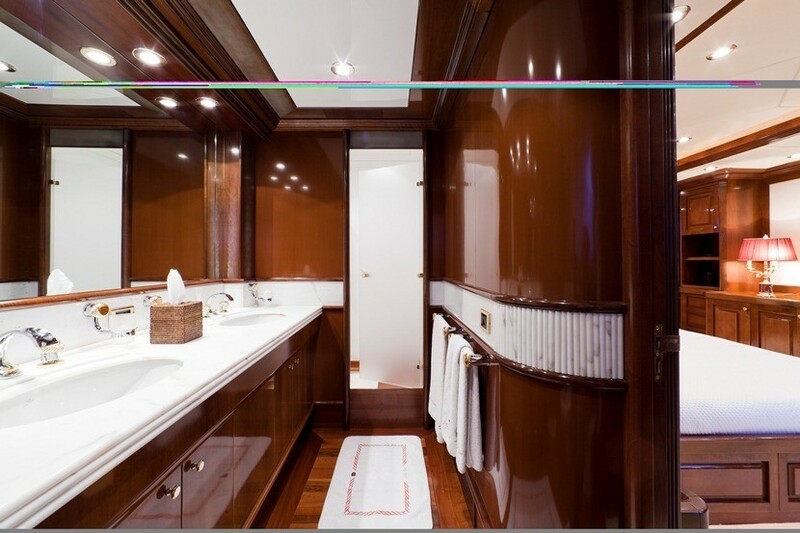 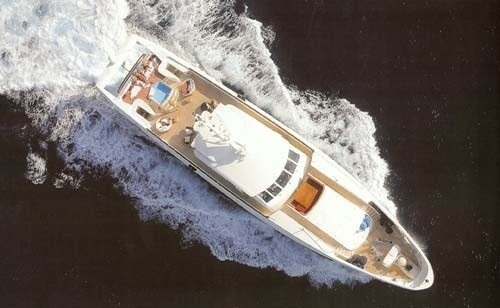 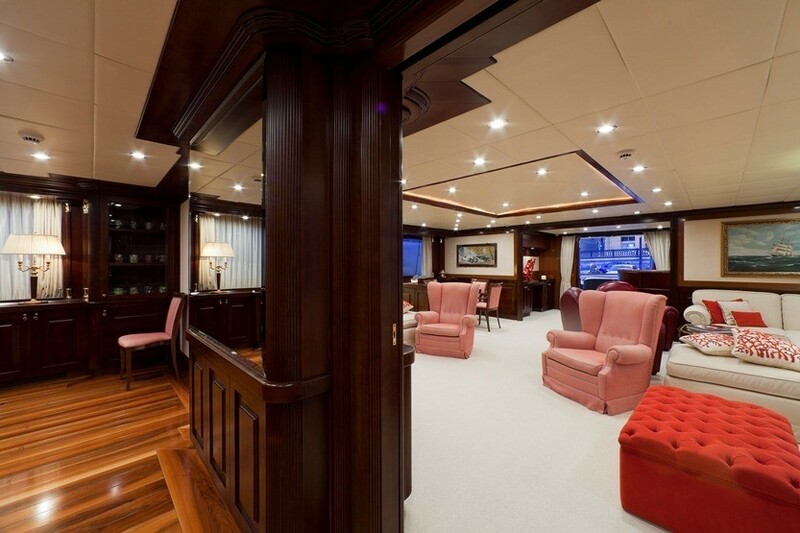 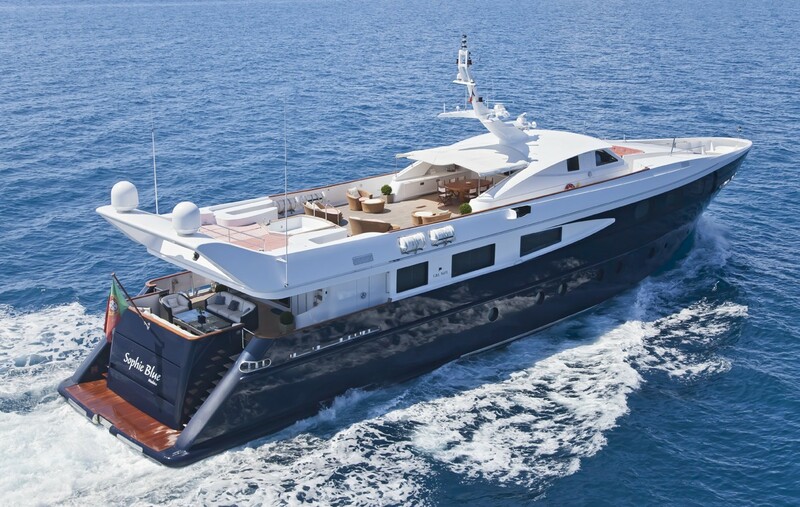 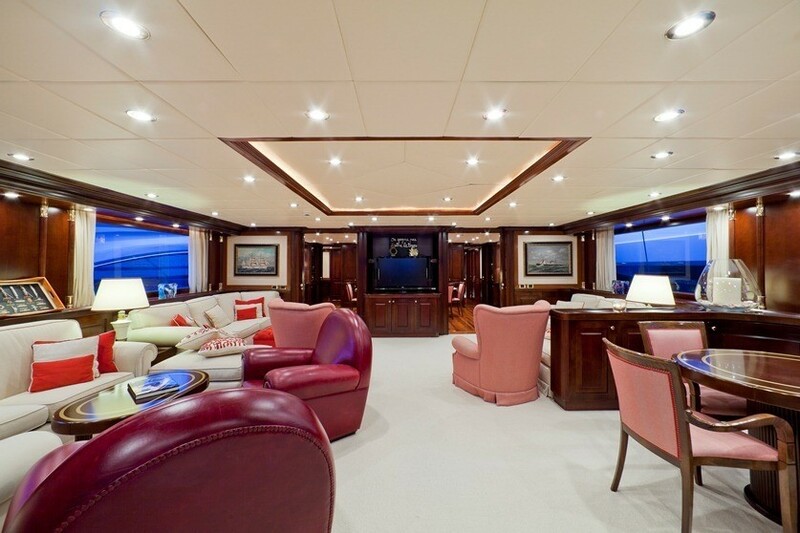 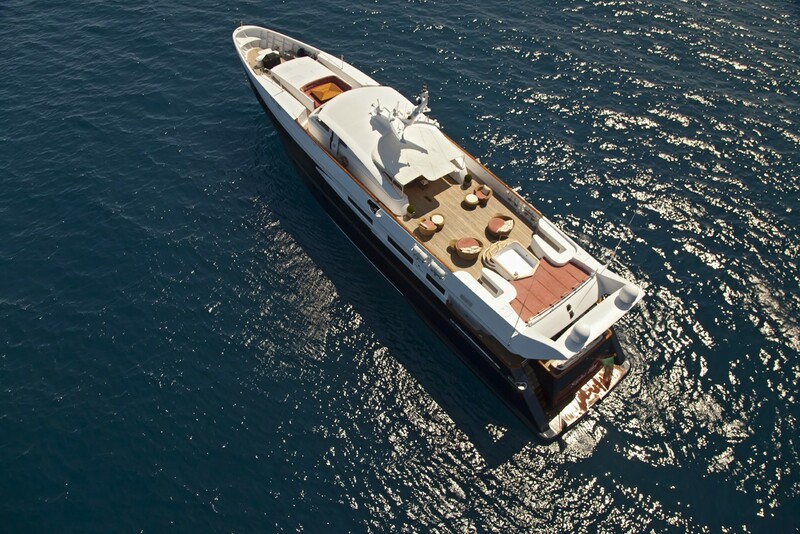 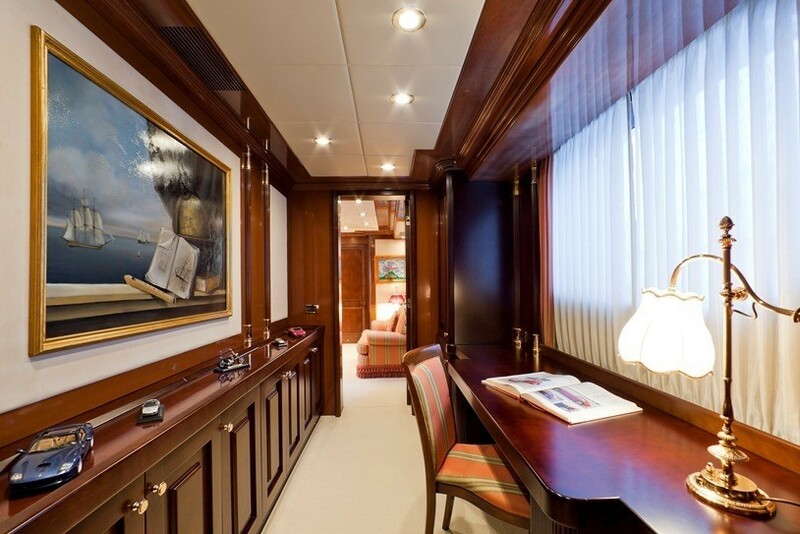 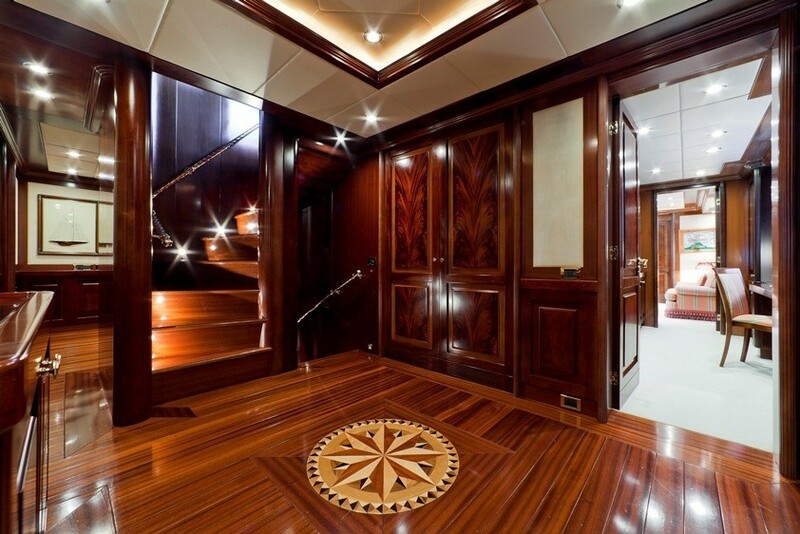 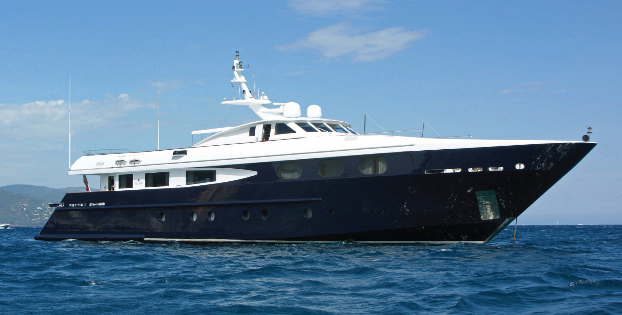 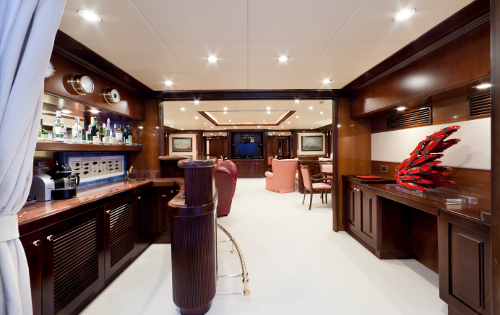 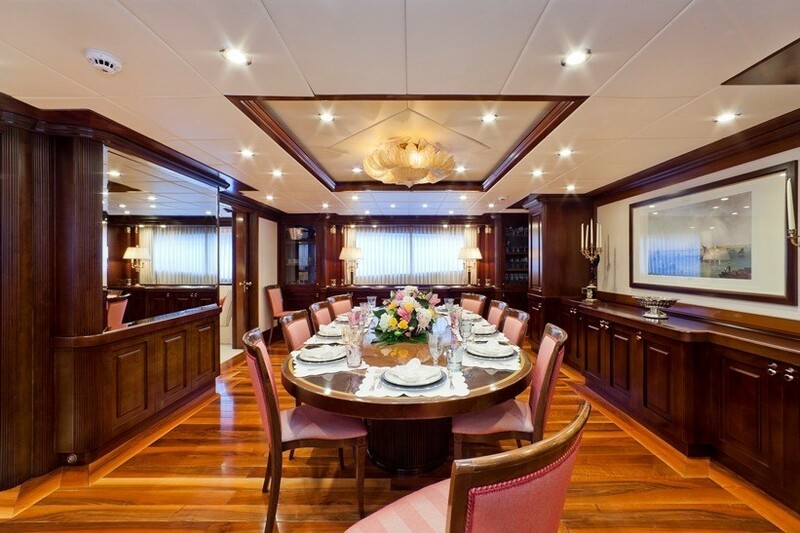 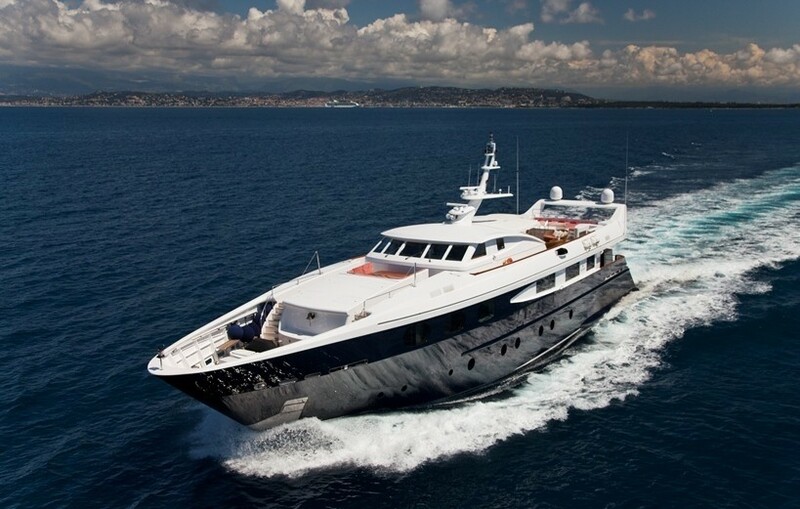 Motor yacht SOPHIE BLUE 41M has a simple yet regal interior boasting high quality dark woods with immaculate finishes. 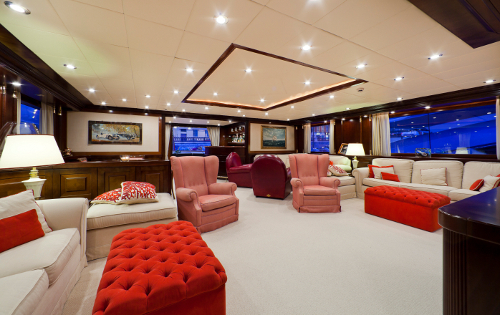 The salon is a social focal point with 3 large sofas, additional lounge chairs, a games / cocktail table, complete wet bar and TV entertainment center. The décor has light and coral soft furnishings with white carpeting, giving a tasteful contrast to the dark woods. 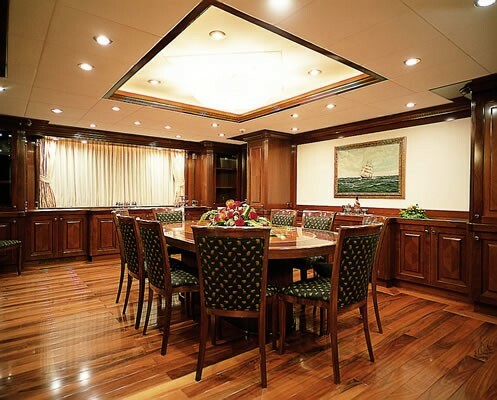 The formal dining space is separate and forward of the salon and has an elegant atmosphere featuring a beautiful oval table set on gorgeous high gloss traditional wood floors. 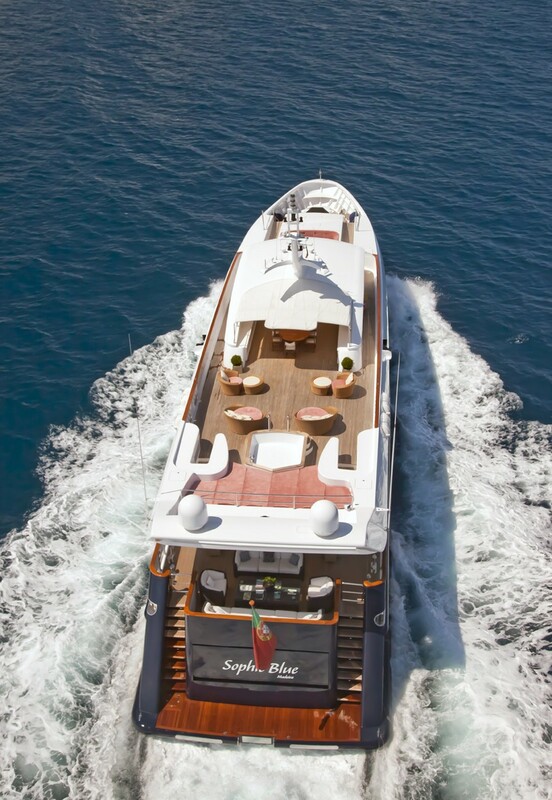 M/Y SOPHIE BLUE 41M has ample deck space for all to enjoy; the aft deck has wicker style set of 2 large outdoor sofas with 2 lounge chairs and a coffee table, off the stern the clever drop down door doubles as a 10 square meter private teak-beach ensuring easy water access to enjoy the toys. 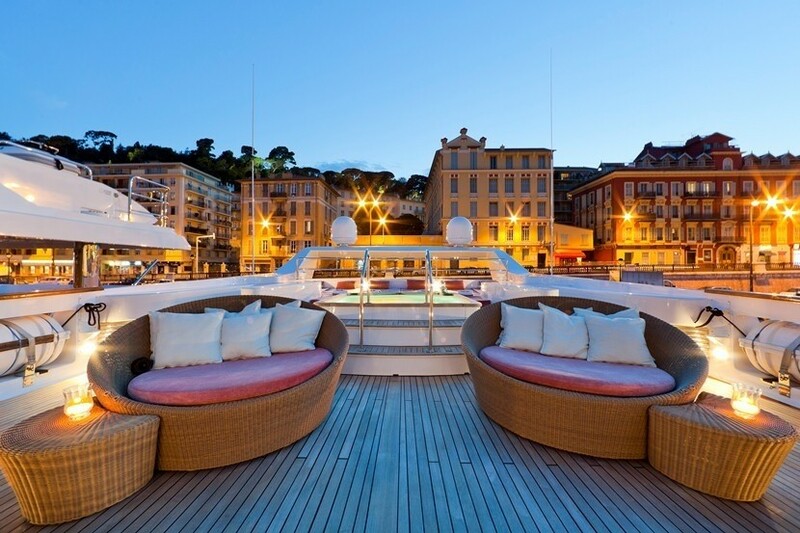 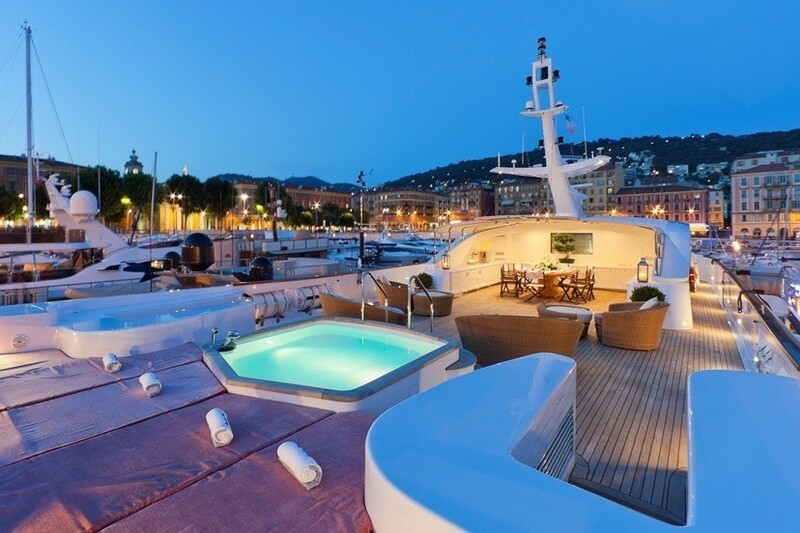 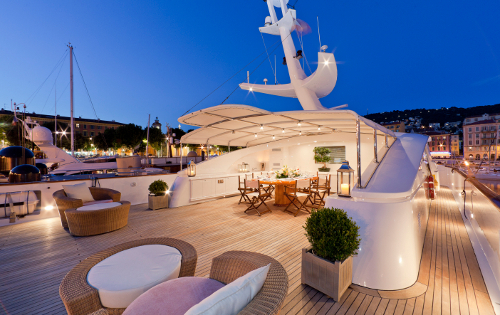 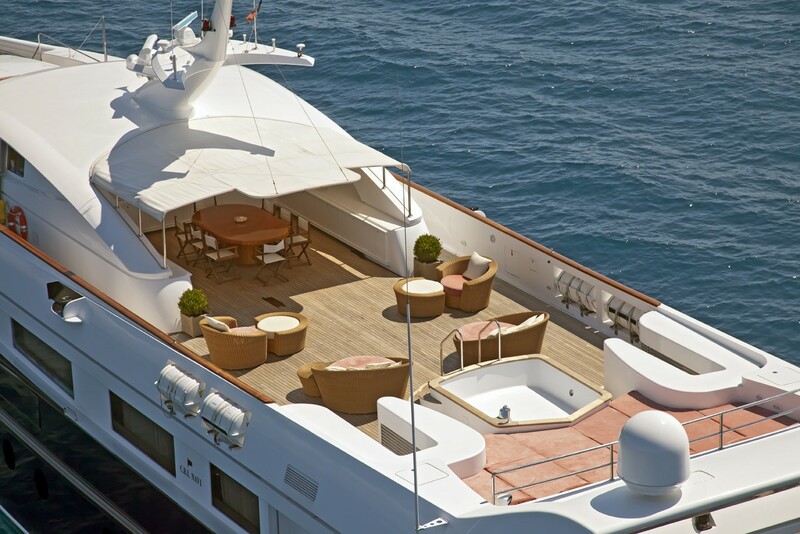 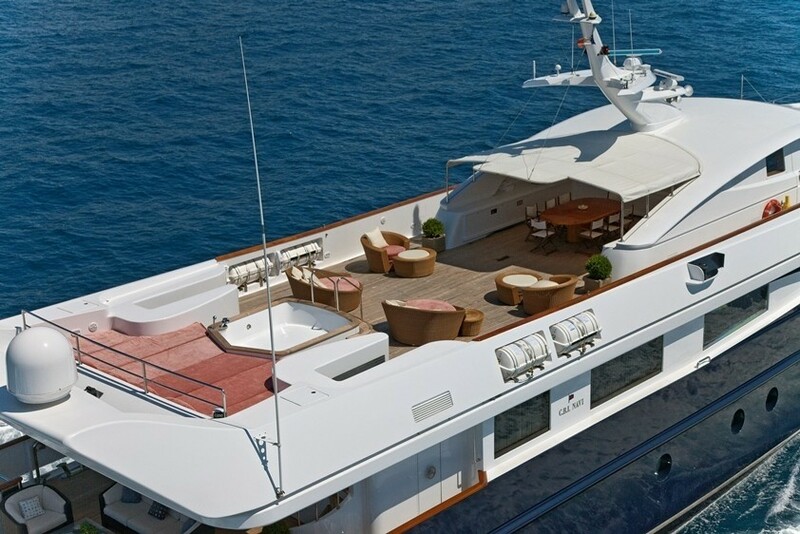 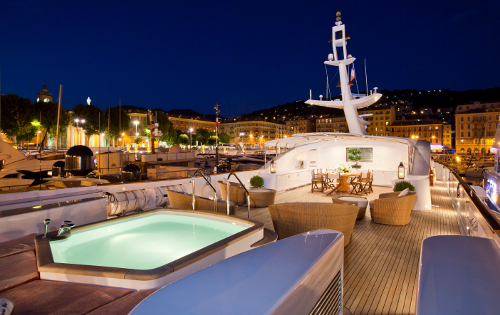 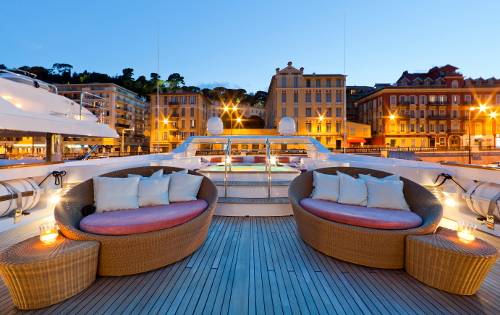 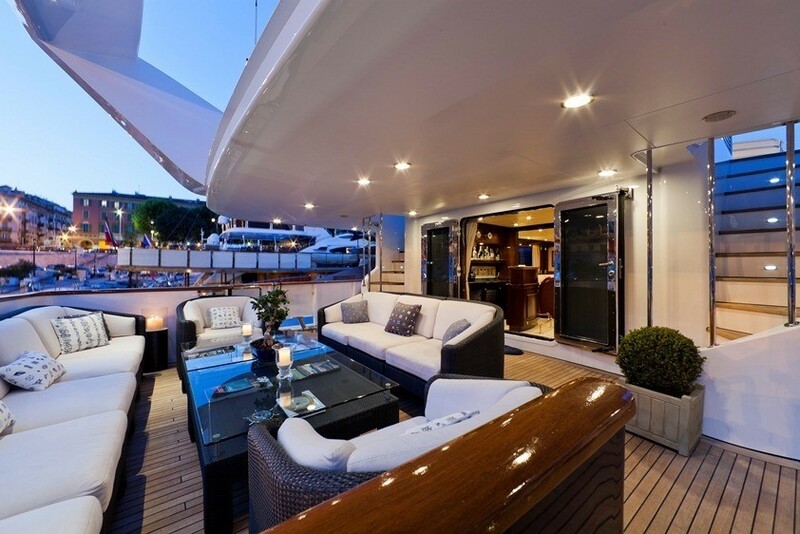 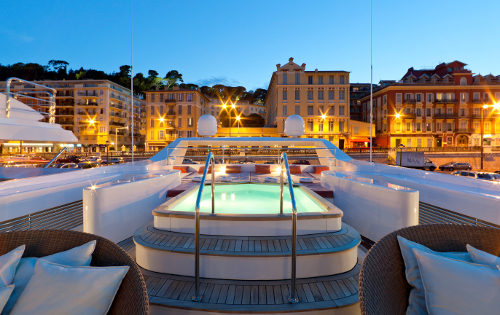 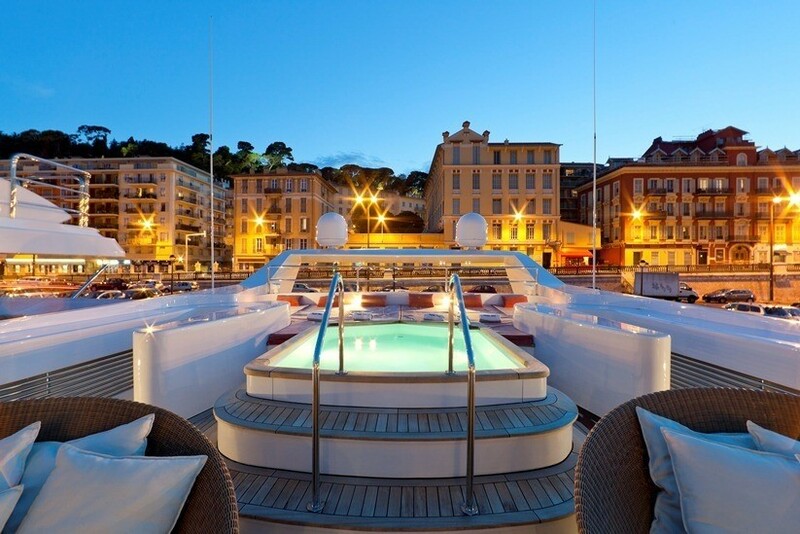 Above the main deck, the sundeck offers guests plenty of places to relax with an alfresco dining option, round cabana seats, a Spa Pool tub and a massive aft sunpad. 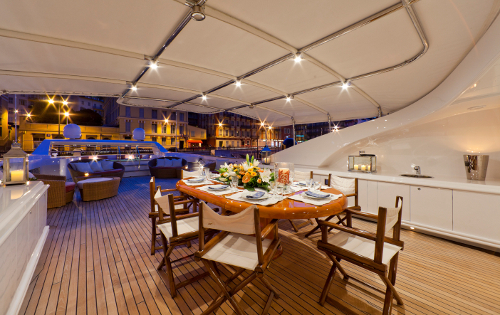 Forward there is a further alfresco dining option and sunpads. 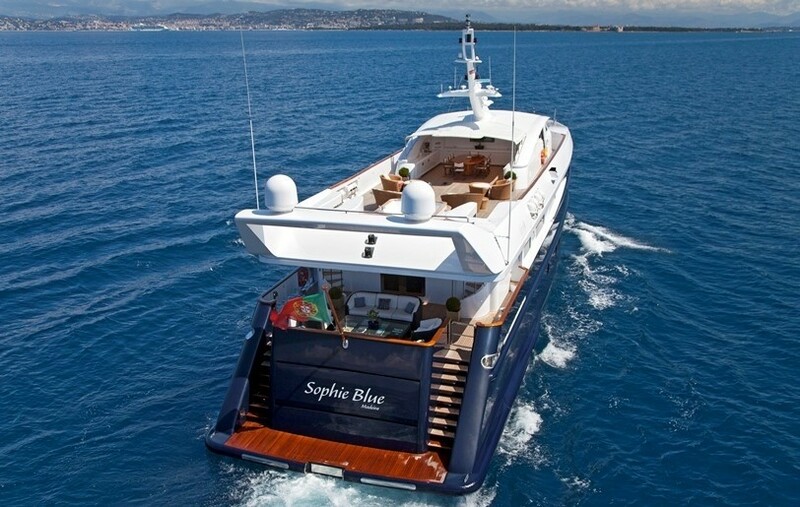 Charter yacht SOPHIE BLUE 41M has a beam of 8.5 meters (27.89ft) and a draft of 2.35 meters (7.71ft) she cruises at 13 knots with maximum speeds of 16 knots. 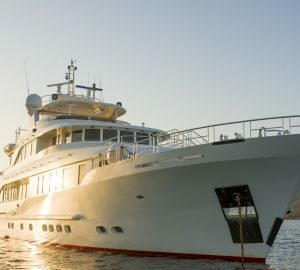 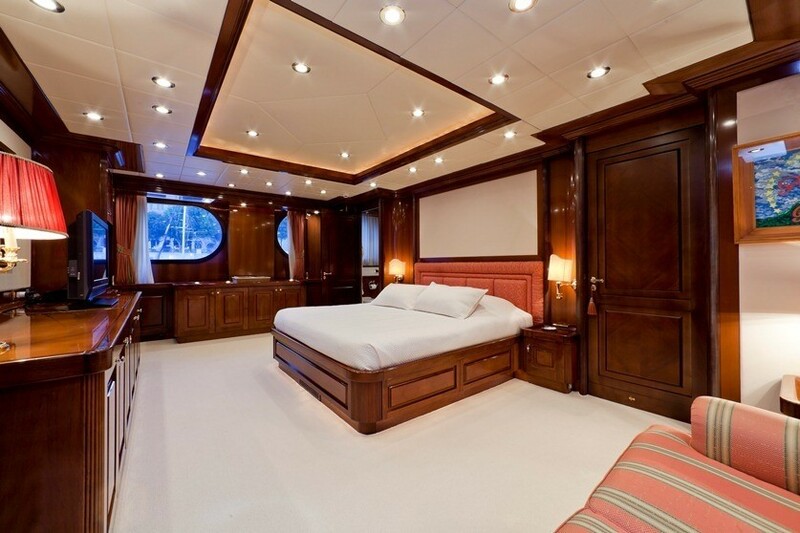 Luxury charter yacht SOPHIE BLUE 41M offers accommodation for 12 guests in 6 cabins, the master suite is on the main deck and features warm woods, soft lighting and is full beam of the yacht with a king size bed, love seat and vanity. 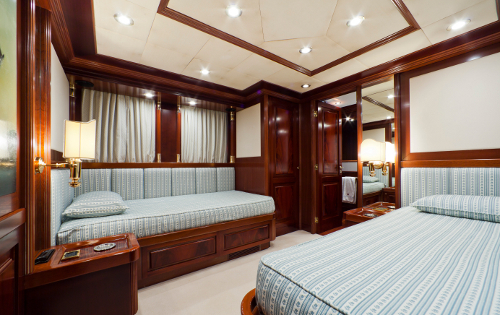 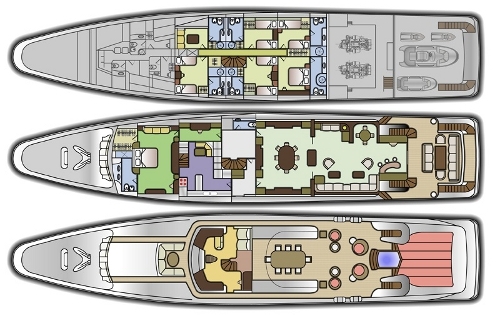 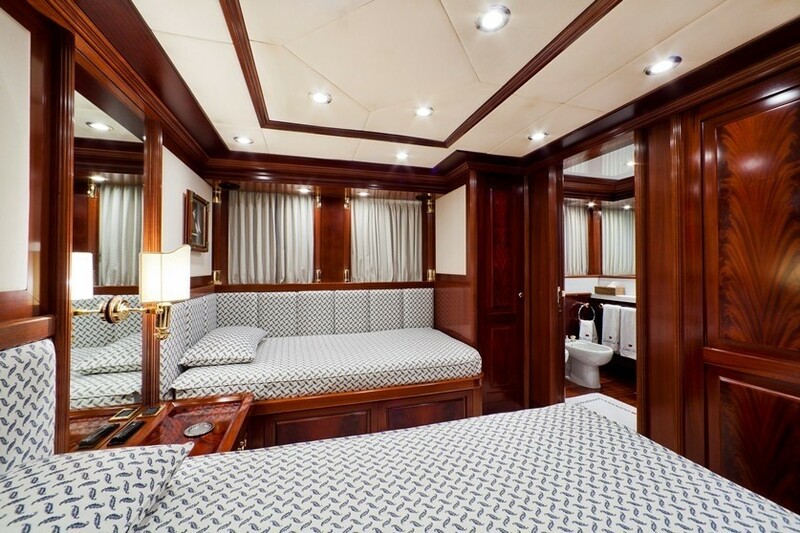 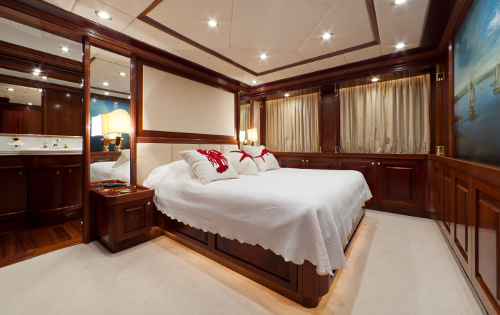 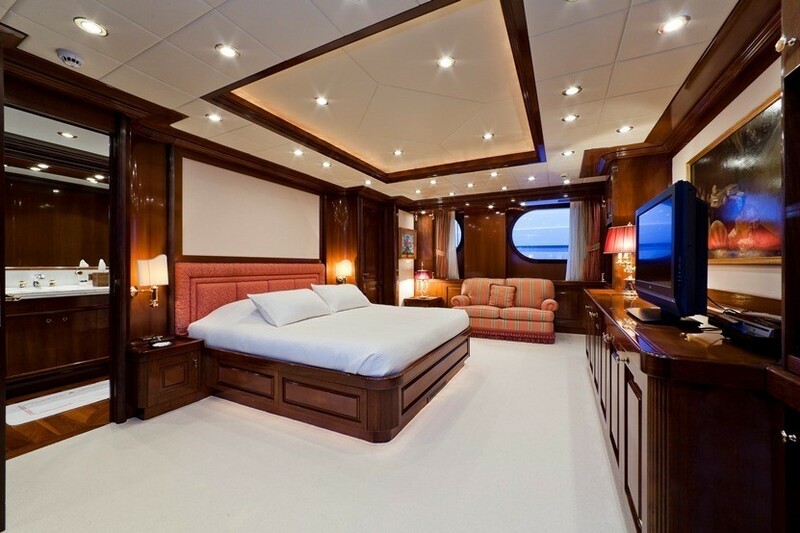 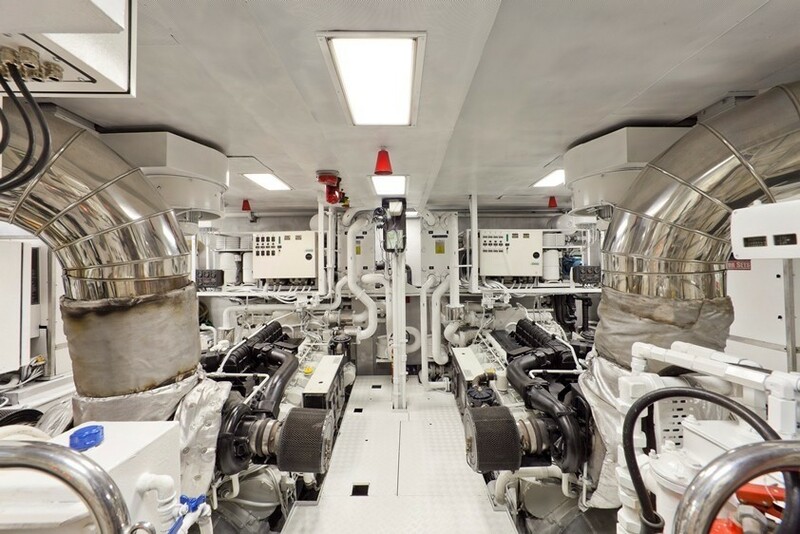 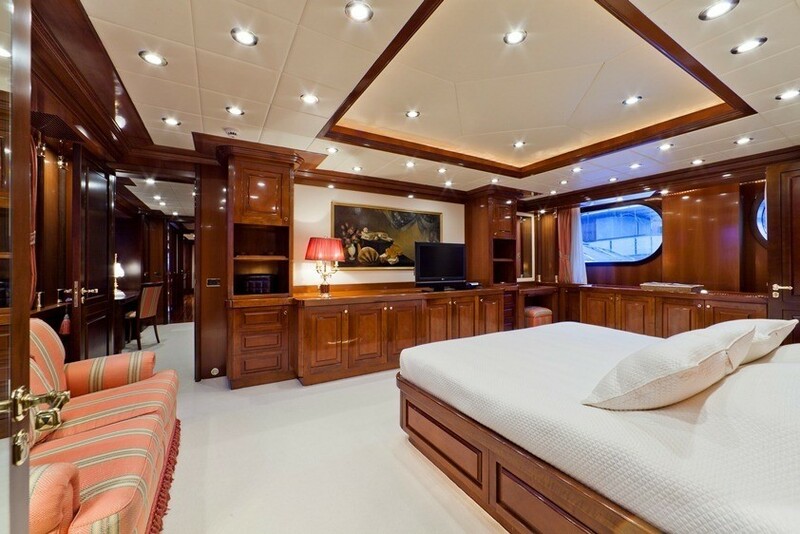 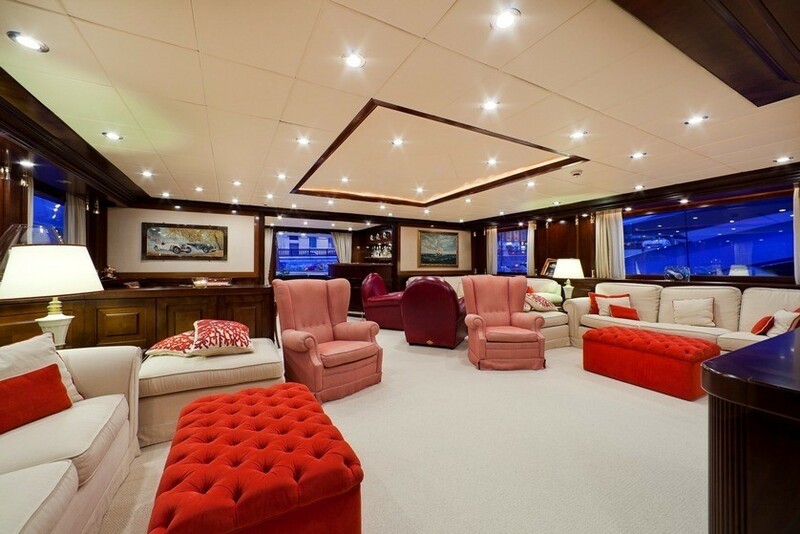 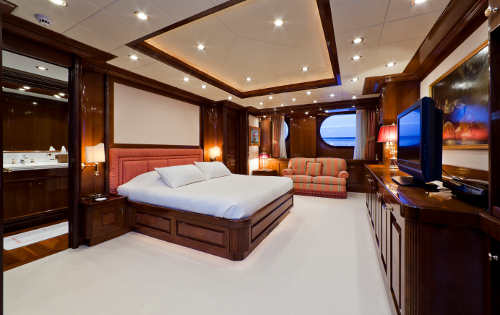 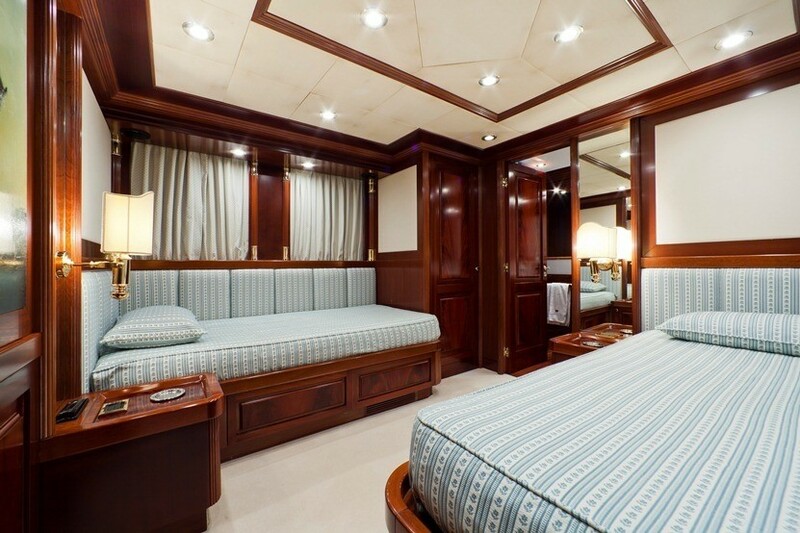 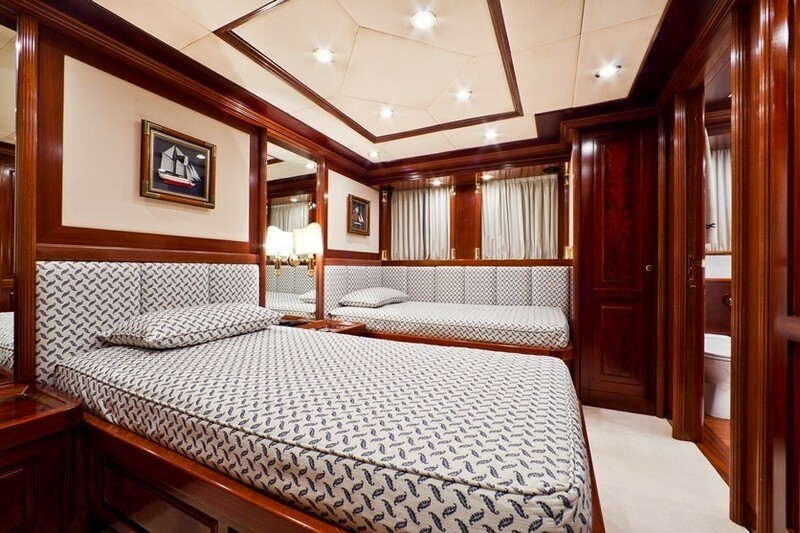 On the lower deck the VIP cabin features a double bed and a further 4 cabins have twin beds. 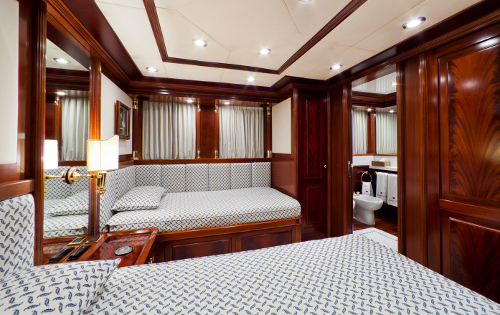 All cabins have superbly finished en-suite facilities with hard woods, marble and quality fixtures.